An incredibly fascinating and entertaining game for children of any age! The denizens of paper world love little experimenters! Love to experiment? There are lots of surprises in the game, even for adults! What happens if you put mushrooms in the fire? What do paper aliens look like? What do bunnycats eat? The answers might not always be obvious, but they’ll make children laugh every time. 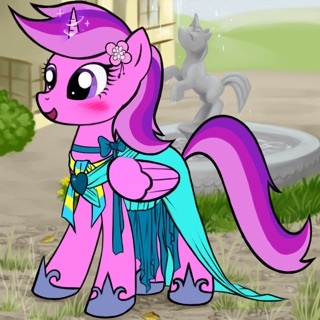 Papermates’ unique character editor allows you to transform your favorite friends! The bunnycat is now a polka-dot bunnywolf! And ZAP!—Aristotle the Moose is now Horace the Deer! Draw a pattern or take a photo and add it to any character. Then print the specially prepared templates and the art, and your child can put them together in real life! 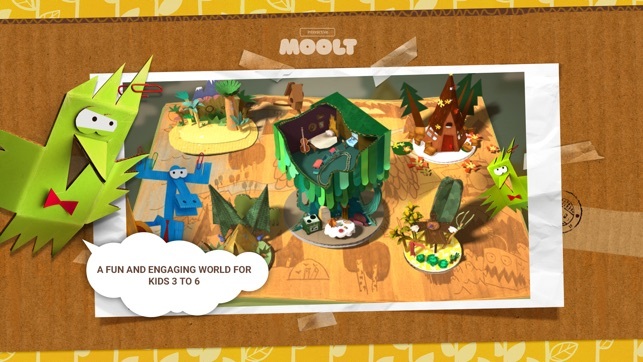 In the game, there are sketches and templates that are the visual calling cards of the cartoon. Get your paper and scissors ready! 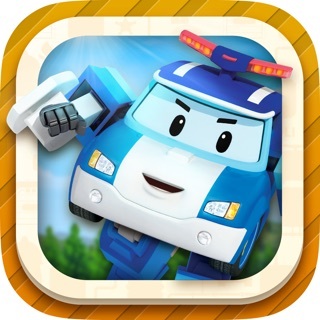 Papermates helps children develop by encouraging them to explore common, everyday environments in a playful way, understand what things go together, and how to use those rules. 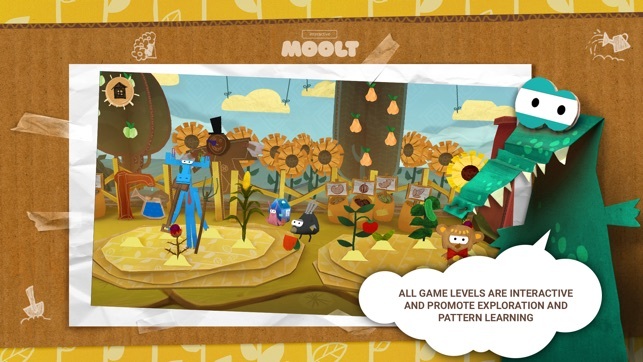 The game was developed with child psychologists for preschool and early school-aged children. 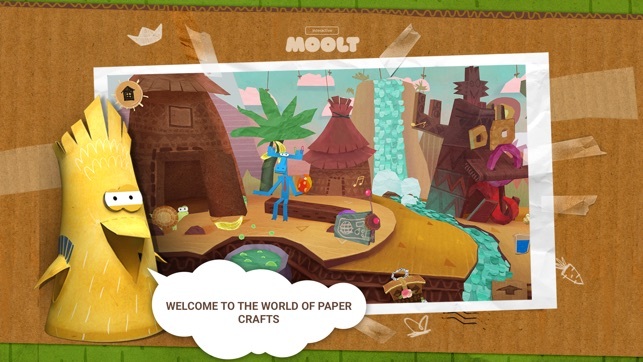 It offers clear and simple play patterns that extend beyond the scope of the game into real paper crafting. After all, learning about the world with Aristotle the Moose is fun and interesting! Aristotle the Moose, Knock-Knock the Woodpecker, and other fantastic paper characters will take your child through the paper forest to go on real paper adventures! They’re great friends: With them, a child can learn about the world and create new things, laughing and playing all the way through. 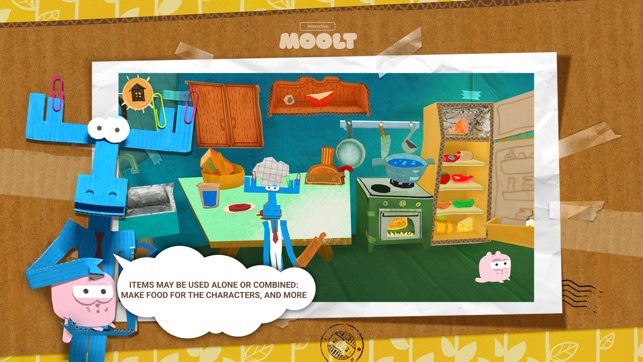 • Game for kids based on the cartoon Paper Tales on the channel MOOLT. • 6 game locations: the paper forest, kitchen, Aristotle’s room, Leo the Lion Cub’s house, the garden, and the mysterious island. • 14 characters—each character can be customized, printed, and then folded to make a paper toy! • Your child will explore and learn. 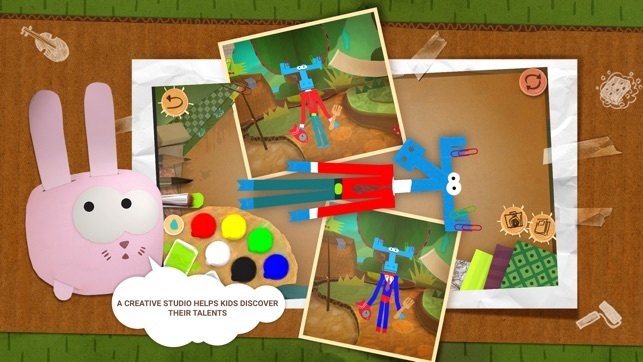 • Interactive creative character studio for children ages 3-9. • All items in the game are interactive. • Use photos to create new patterns with the editor. • Printable sketches of paper characters. Origami right inside the game. • Complete creative freedom—there’s no losing in Paper Tales. • For girls and boys alike. • Completely safe for kids! • Optimized for smartphones and tablets. If you have any questions or suggestions, please write us at support@i-moolt.ru, and we will get back to you as soon as we can! - Fixed minor bugs and overall stability has been improved.